Mumbai-based online movie and events-ticketing portal BookMyShow, flush from a big round of funding led by private equity firm TPG Growth last year, said it has made an undisclosed strategic investment in Pune-headquartered payments technology company AtomX Corporation Pvt. Ltd. 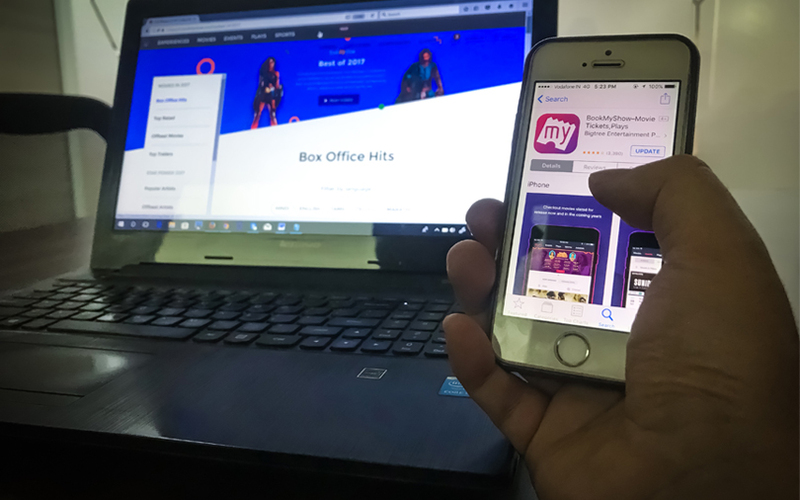 The investment will help BookMyShow strengthen its position in the out-of-home entertainment landscape across ticketing, producing and managing on-ground operations, said the Mumbai-based firm in a statement. Founded in 2012 by Abhilash Gowdara, AtomX offers a cashless payments platform and solutions that allow users to store cash in the form of digital money in their Near Field Communication (NFC) chip and simply tap, pay and buy food, beverages and merchandise instantly. AtomX's solution, which can be used both by vendors and consumers, facilitates storage of data on the card itself, thus addressing the challenge of poor internet connectivity at outdoor events, the firm said. Gowdara, a graduate of Pune-based Symbiosis International University, worked as information technology adviser to the Nigerian government before launching the company, according to his LinkedIn profile. BookMyShow’s venues and service delivery operations chief, Anil Makhija, will join AtomX’s board of directors as part of the transaction. Last year in June, Bigtree Entertainment Pvt. Ltd, which owns and operates BookMyShow, had raised $100 million (around Rs 680 crore) in a Series D round of funding led by TPG Growth. Other investors in the company include Stripes Group, Accel, SAIF Partners and Network18. BookMyShow’s parent Bigtree Entertainment was founded in 1999 by Ashish Hemrajani, Parikshit Dar and Rajesh Balpande. Bigtree initially assisted theatres with inventory management and transitioning to ticket-booking capabilities online. As part of efforts to diversify, BookMyShow has also gone on to produce music concerts, theatricals and introduced audio entertainment service Jukebox. In 2017, BookMyShow had acquired video-on-demand platform Nfusion for an undisclosed amount in an all-cash deal. In January last year, it had said that it is shutting down its wallet service. Bigtree Entertainment reported a 29% rise in its consolidated operating revenue for the financial year 2017-18 even as its losses and expenditure both went up during the period.